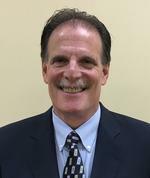 Michael Coladonato has been with Tru-Tone Hearing Aid Center since 1984. He is a hearing instrument specialist licensed by the Commonwealth of Pennsylvania. Michael provides hearing tests, hearing aid fittings and other hearing-aid related services in our Springfield office.